JERUSALEM (AP) — A Palestinian activist said Saturday that a number of international airlines canceled flights for at least 100 people scheduled to arrive in Israel's main airport for a mass fly-in of pro-Palestinian activists, while Israel said those activists who manage to make it to the airport would be deported. Campaign organizer Amira Musallam said activists from around the world notified her by email that Lufthansa, Jet2.com and Air France canceled their flight reservations. EasyJet also announced it would refuse to fly passengers which Israel has marked on a no-entry list. Airline spokeswoman Anna Knowles said only a small number of passengers were affected. Israeli television reported most airlines would not fly activists to Israel and only a trickle would arrive, though Musallam, the Palestinian organizer, said she still expects hundreds of activists to arrive beginning Saturday evening and continuing through Sunday. The "Welcome to Palestine" project seeks to raise attention to how Israel controls access into Palestinian areas. Visitors can only reach the West Bank through Israeli-controlled land crossings or Israeli airports. At any given time, hundreds of foreigners are in the West Bank, including activists, aid workers, volunteers, tourists and religious pilgrims. Israel limits entry through its border crossing to the Gaza Strip to foreign journalists, diplomats and aid workers only. Travelers who wish to visit the Palestinian-controlled areas of the West Bank often report being detained and questioned, sometimes for hours, by Israeli border authorities — unless they fib about their intended destination. Israel is nervous about a large influx of pro-Palestinian activists, following a series of deadly run-ins with such activists in recent years. In 2010, a naval raid on a Gaza-bound flotilla left nine Turkish activists dead. The Israeli navy and the pro-Palestinian activists have each accused each other of sparking the bloodshed. Last year, Israeli troops battled hundreds of pro-Palestinian protesters who tried to burst across Syrian and Lebanese borders into Israeli-held territory, killing dozens. Those clashes drew international criticism. Last July, Israel blocked a similar fly-in effort by preventing scores of activists from boarding Tel Aviv-bound flights in Europe, questioning dozens more upon arrival at the airport and denying entry to 69. In seeking to prevent this weekend's pro-Palestinian fly-in, Israel seems keen on avoiding further confrontations. 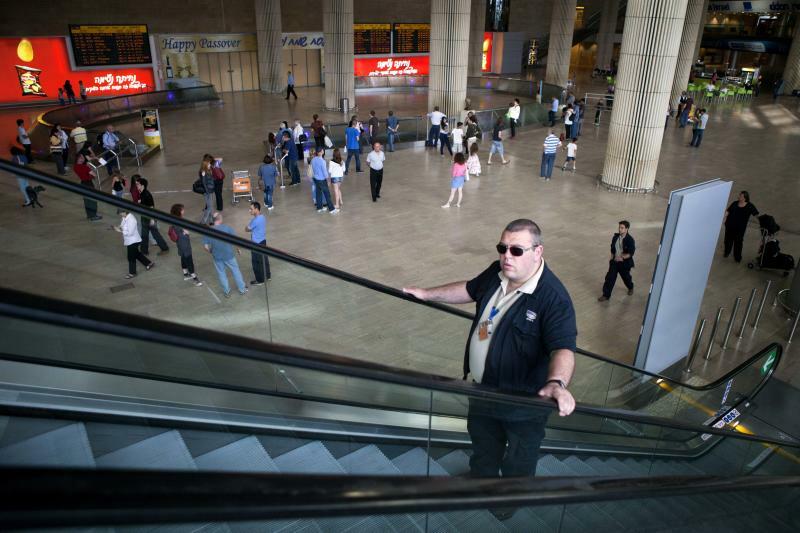 Israeli police spokeswoman Luba Samri said hundreds of additional police officers, both plainclothes and uniformed, would patrol the airport beginning Sunday to prevent disruptions. 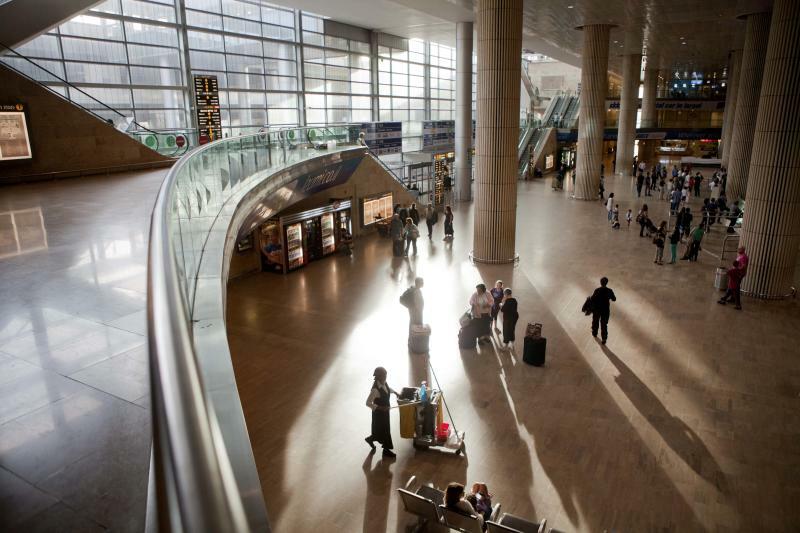 A spokeswoman for Israel's Interior Ministry, Sabine Hadad, said Israel had sent a list of suspected activists to international airlines, asking the airlines to deny boarding them on Israel-bound flights — They warned the airlines they'd have to cover the cost of their return flights, and threatened unspecified sanctions on airlines if they do not comply. "Due to statements of pro-Palestinian radicals to arrive on commercial flights from abroad to disrupt the order and confront security forces at friction points, it was decided to deny their entry," the letter read. Sofiah MacLeod, a British campaign coordinator, said the Israeli allegations against activists in the campaign "is just complete rubbish." "The only thing participants will be doing will be to declare honestly that their destination is Bethlehem and Palestine. That's it," she said. Hadad of the Interior Ministry said there is no general policy to deny entry to tourists who tell passport control that they intend to visit the Palestinian-controlled territories. But she said there was "substantiated information" that activists on the no-entry list were coming to disrupt the public order in Israel, and that others who arrive at the airport would be questioned and denied entry if deemed a threat. Activists who do manage to evade Israeli no-fly requests and are apprehended at the Tel Aviv airport will receive a letter from the Israeli government before being deported to their countries of origin, an Israeli official said. According to a copy obtained by The Associated Press, the letter accuses the activists of hypocritically singling out Israel while ignoring humanitarian crises in Syria, Iranian support of terror, and militants in the Hamas-controlled Gaza Strip who have fired rockets at Israel. "We therefore suggest that you first solve the real problems of the region, and then come back and share with us your experience," the letter reads, ending with, "Have a nice flight." "What is sarcastic is their activity," said the Israeli official, speaking on condition of anonymity because officials have been instructed not to grant on-record interviews on the subject. "Human rights are the last thing that interests (the activists)." With additional reporting by Diaa Hadid.